Compared to traditional casinos where you will have to visit with an adequate amount of cash in your wallet, online casinos gambling is less cumbersome. All you need is money in the bank, which you can transfer to your casino account via credit/debit cards, eWallets, wire transfers, and a whole lot of other banking options. This article will explore in brief the growth of the online casinos ever since its inception in 1994. 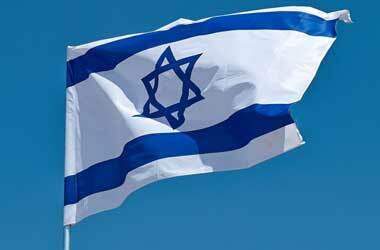 An attempt will also be made to take note of some distinct events and developments which came in the growth path. In 1994 the Antigua & Barbuda government passed the Free Trade and Processing Zone Act and this set the ball rolling for the launch of online casinos. A large number of online casino operators today work under licenses made available to them under this legislation. 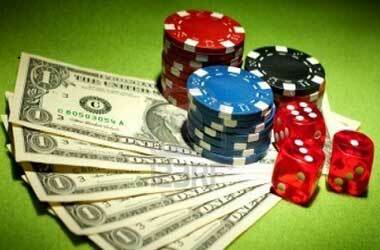 Therefore Antigua & Barbuda emerged as a safe haven and a preferred place for the online casino operators. Antigua – Barbuda did not have a vibrant economy and this gave helped boost the economy. Now for an industry to succeed it needs to have standardized procedures and practices duly supported by safe online transacting methods. Microgaming started developing software for the new industry and very soon became a benchmark provider of top quality casino software. The provider set up shop in the Isle of Man which is located between England, Scotland, Wales and Ireland in the Irish Sea. It is neither within the European Union nor the United Kingdom but is possessed by the British Crown. Therefore the rules and regulations of the nearby large nations were not applicable to this place. Developing casino software is just part of the story. Operators needed methods to keep away hackers who could do a lot of damage when it came to transferring funds and cashing in and out of online casinos. CryptoLogic was founded in 1995 and developed the first eCashand gaming application. Their headquarters are at Dublin and their main aim is to develop software which is effective and efficient in providing security to all online financial and cash transactions. In October 1996 InterCasino went online with the claim that they were the first online casino available on the internet. They accepted real money and their transactions were guaranteed and protected from hackers with software from CryptoLogic. Here it will be proper to look back for a short while at the turn of events. Let’s face, it gambling is not very welcome in our society. In fact society is known to take stringent steps to prevent the proliferation of gambling. The question that surfaces here is whether the operators housed themselves in Antigua-Barbuda only to circumvent the strong social opinion of USA? For the most part, the software developer found shelter in a place which is not under any large nation like UK etc. Did they choose to set up shop in such a place where rules and regulations are rather loose and not regimented? Further, CrypotLogic is headquartered in Dublin since they are not directly into the gaming business and therefore cannot be faulted of encouraging gambling. Hence they work out of a “civilized” place. The first internet game server system gets installed in Antigua-Barbuda since they did not have hold very strong opinions against Internet gambling. After all with their very low GDP this was expected to give boost to their economy. 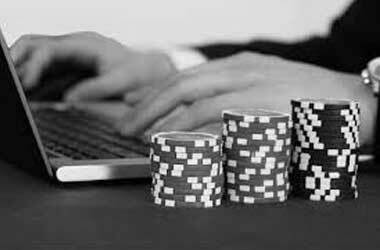 Internet based gambling received its first set back when a representative of the US Congress Senator Jon Kyl proposed the Internet Gambling Prohibition Act with the objective to declare online gambling illegal in USA. Although the first attempt failed since the online gambling industry managed to generate a tidy amount of revenue, yet it heralded an era of problems and legal issues for online casinos in the near future. Although Senator Jon Kyl tabled a revised Internet Gambling Prohibition Act that too failed to pass – after all this industry was generating nearly $1000 million in revenue for the national exchequer. Significantly, around the same time the Australia based internet casino, Lasseters, which is licensed by the Australian government (Northern Territory), was launched. 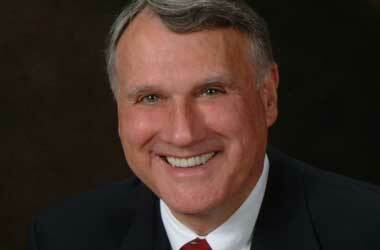 Several legislative moves were rapidly undertaken to offer licenses to other online casinos. Another very significant development in this year was that online gambling became even more significant since Boss Media released an innovative gaming platform that allowed multiple players to participate simultaneously and interact with each other via a chat option. This was a bold and decisive step that triggered the rapid growth of online gambling. With the Australian government passing the Interactive Gambling Moratorium Act, Lasseters became the only Australian online casino since several others were rendered become illegal under the new regulations. While another attempt at prohibiting the online gaming in USA failed miserably, Isle of Man and Gibraltar under the U.K. sovereign territories began to offer licenses for online gaming. In this year, a bill was passed by the legislature of Nevada which allowed the operation of online casinos from Nevada. This was the first dent into the armour of the people seeking to ban online casinos. Alderney Islands also legislated in favour of internet gambling and agreed to process applications for license to casino operators. Simultaneously, the UK decided to take steps to make online gambling legal. The Wire Act 1961 was amended to cover online casinos and the legalization of internet betting. This was the first indication that online casinos would no longer have the legal rights to operate in the USA. The first step towards making online casinos more reliable and dependable were made with the setting up of eCommerce and Online Gambling Regulation and Assurance (eCOGRA) a non-profit organization. This mandated that member operators abide by the security and safety guidelines. 2003 marks the beginning of a more mature casino industry. The WTO supported Antigua-Barbuda in their WTO case in which they stated that while online gaming in US is unlawful yet they permitted online sites for horse racing and conventional casinos. Online casinos get the social acceptance as was evident by their featuring in various celebrities in television programs. That was the growth track of a multimillion dollar industry with millions of players. There have been intermittent hiccups where operators tried to make fast money resulting in litigations and court cases. However, basically online casinos are on a firm footing today and are here to stay. The fundamental fact is that online casinos have the potential to generate a tidy amount of revenue for the nation. With the advent of the smart phone, and the fact that Microgaming teamed up with Spin3 and became pioneers in paving the way for mobile casino gaming, the online casino industry was revolutionized with the introduction of mobile gaming. Further 2005 saw the industry continue to thrive and rope in billions of dollars in revenue and it even reached a pinnacle at a staggering $12 billion. The industry also starts focusing on England and start to trade on the London Stock Exchange. 2006 was a mixed bag for the online casino industry, the industry continued to grow almost exponentially and the total number of online casinos in operation reached nearly 2300 worldwide. 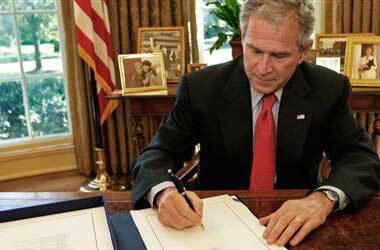 However, American gamblers received a death blow as President Bush signed the Unlawful Internet Gambling Enforcement Act which essentially illegalized online gambling for American residents. 2006 was also the year when live casinos were first featured by Microgaming with the introduction of live dealers. Microgaming also launched Mega Moolah which till date is arguably one of the most popular online slots in existence. With Americans being ruled out of online gambling courtesy of the UIGEA, the online casino industry changes their focus to the European markets, especially the United Kingdom. Within a matter of months, the UK was not the biggest market for the industry. Unlike the US, the UK released legislation to regulate gambling which instead of prohibiting gambling, actually encouraged it through television adverts and such. While proponents to legalize online gambling in the US were plenty, the opposition was still too strong and legalization efforts were in vain. On the other hand, South Africa made a huge leap forward and legalized online gambling. South Africa Legislators were influenced by the success and revenue generated by sports betting across Europe and legalized online casinos and sports betting throughout South Africa. The market is quick to capitalize as new casinos emerge which are targeted and geared towards the South African punter. Joe Cada won $8.55 million in the main event at of the WSOP. Being so well known in the poker community, the 21 year old then started playing in online poker room – full tilt poker which was enough to attract a huge number of other players and gave online poker a huge boost. Despite an almost worldwide recession, the online casino industry continued unfazed and continued to grow in terms of both revenue and number of online casinos. slot tournament hosted by none other than Microgaming. The industry records yet another positive year with data showing a massive 12.5% growth. Statistics also report that online players now spend an additional 10% more time playing online games. Microgaming yet again prove that they are industry leaders and innovators as they start to roll out flagship franchise games and slots such as Lord of the rings, Thunderstruck II and Hellboy by partnering with some of the biggest entertainment brand names in the world and acquiring rights for the games. In order to appeal to more audience, most online casinos start to incorporate more payment methods rather than just the traditional credit card or wire transfer. While Microgaming have so far been the company to really innovate within the industry, Net Entertainment steps up and shows that they are no slouches thanks to the introduction of progressive jackpots, especially – Mega Fortune. Mega Fortune soon became a fan favourite and one Norwegian student won a life changing €11.7 million – a new world record. As the demand for online betting and casinos increased across the world, the industry rises to meet the demand. The supply now includes thousands of new casinos targeting customers from several countries across the world, thanks to accepting of new currencies, global customer service and casinos which support multiple languages and locations. Localized casinos also start to emerge. These casinos target one country and one country only. Italy gets All Slots casino, Sweden has Tropezia Palace, and the Australian favourite is the Grand Reef casino. Such casinos make their target customers the number one priority and start to pull users away from big global casinos where everyone is accepted and no one really gets the focus or preference. The industry is still on the rise, and the worldwide prevalence of social media only further fuels its growth. Casinos start allowing players to share the games to their networks and thus win various points and perks in exchange. Gaming and social media starts to go hand in hand and online casinos use social media as a marketing platform to appeal to and allure in even more potential players. Furthermore, mobile gaming has really started to catch on. Most online casinos now have mobile versions available so players can play while on the move and all they need is a working internet connection. They can take their favorite online casinos with them in their pockets. 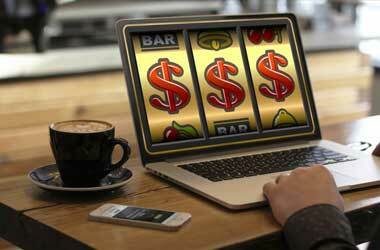 2014 is yet another landmark year for the online casino industry. The cryptocurrency bitcoin is introduced and a casino named Vera&John becomes the first online casino to accept bitcoins. Even though the bitcoin was launched in 2009, it took some years to catch traction and for the online casino industry to recognize it as a legitimate payment method and currency. The bitcoin made transactions faster, cheaper and more anonymous which went perfectly well with the requirements for online casinos and the millions of online casino players across the globe. The popular online slot Mega Moolah from Microgaming which has now been a long-time crowd favorite breaks yet another record by paying out a massive jackpot of €17.9 Million. The initial bet? Just a mere 25p. The lucky man is a 26-year- old English Soldier by the name of Jon Heywood. 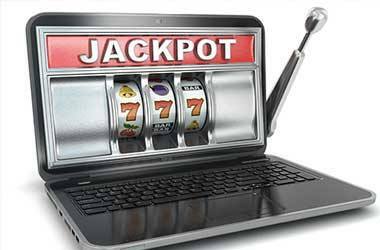 This is the biggest video slot jackpot win in the history of online casinos. By launching live dealers on their online casino website, Gold Nugget Casino which is based in Atlanta City US becomes America’s first licensed live dealer casino. Ezugi is the software provider for Gold Nugget. Furthermore, mobile gaming starts to take the limelight in the industry as numbers show that over half of all revenue generated by evolution gaming’s came from mobile devices. 2017 so far has seen several notable online casinos going the way of virtual reality in order to give their players the best and most realistic experience possible. Some pages of many casinos now complement VR experience wherein players can wear virtual reality googles for an almost life like experience with 360 degree gaming. 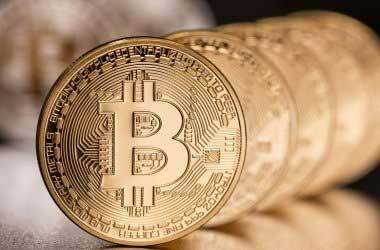 Furthermore, even more bitcoin casino emerge and several of the existing casinos have started onboarding bitcoin as a payment method.